Finishing off the year with a bang is the brothers from Kurobokan! The date is set for the new colourway of Sleepwalker Offspring, so close to Christmas its made his eyes go Boz Eyed, HA. 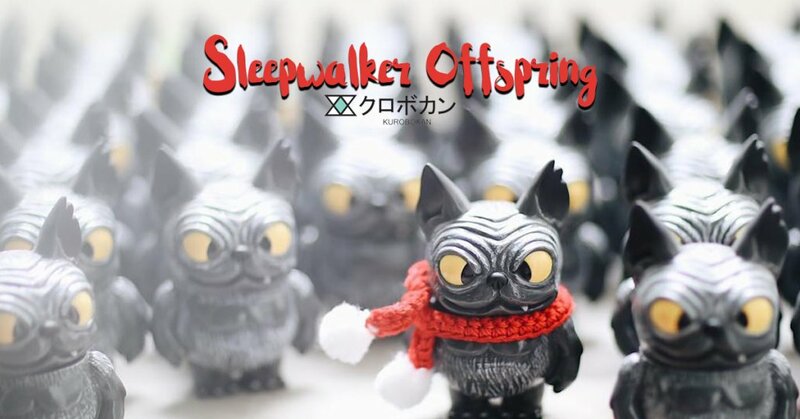 Collectors will be thrilled to know they will have a chance to get this fully painted version of the Sleepwalker Offspring after all the constant sellouts. Plus this version eyes made us wee a little, too funny for our bladders. Keep in touch with Paulus Hyu Via Instagram, Twitter and Facebook.